Château DURFORT-VIVENS owes its name to the Durfort de Duras, a powerful family in the South-West of France that came to Margaux in the fourteenth century. In 1824, the Viscount of Vivens' name was added to that of Durfort. The estate was at the height of its fame: the 1844 vintage sold for more than any of the other Second Crus in the Margaux appellation. The quality of the Durfort wine began to be appreciated at the end of the eighteenth century. Thomas Jefferson, the American ambassador in France and future president, was a wine connoisseur and ranked it directly after Lafite, Latour and Margaux in his fascinating travel diaries. The 1855 classification confirmed his opinion, ranking the wine as a Second Cru Classé. In 1937 the estate was bought by the company owning Château Margaux, whose main shareholder at that time was the Lurton family. In 1961 Lucien Lurton, a great lover and protector of wine-producing terroirs, acquired and restored this exceptional vineyard. In 1992, his son Gonzague inherited the property. He modernized its operation with a view to developing the terroir's unique qualities. 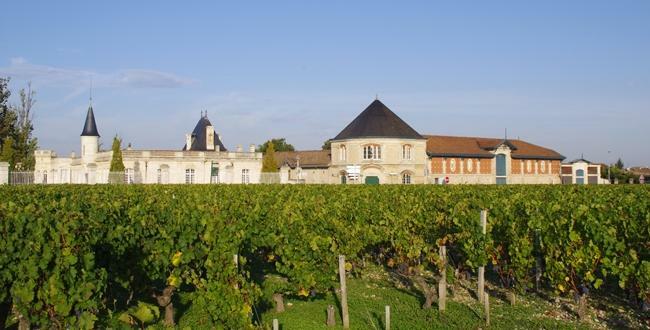 Located in the communes of Margaux, Cantenac and Soussans, the Durfort-Vivens vines are planted on hilltops made up of deep, particularly poor gravel. The gravel was deposited by successive river-beds of the Garonne in the Quaternary period. This magnificent terroir enables an early optimal ripening of the Cabernet-Sauvignon grapes, thereby allowing a full expression of the finesse and silkiness of the tannins, resulting in the freshness and elegance characteristic of a great Margaux.